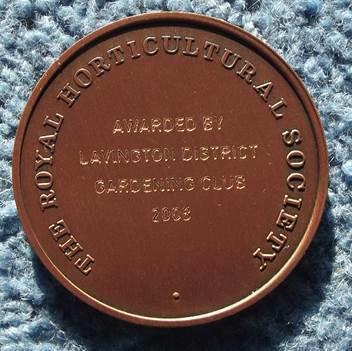 The Royal Horticultural Society issue Banksian medals to worthy horticulturalists. One is awarded each year to the person who gets most points in the local show’s horticulture classes – the fruit, flowers and vegetables. This means there is nothing particularly rare about them. But one of them, in the museum, was awarded to James Lye, the Market Lavington and Easterton based fuchsia breeder. That one is special to us at Market Lavington Museum. 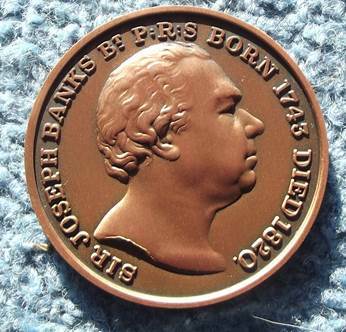 One side has a profile of the man the medal is named after – Joseph Banks. We can’t do justice to Joseph here. He was a top botanist of his day, was on Cook’s first voyage of discovery and is very much numbered amongst the great and the good. The other side of the medal (more like a crown sized coin) is engraved with the winner’s name and the reason for the award. 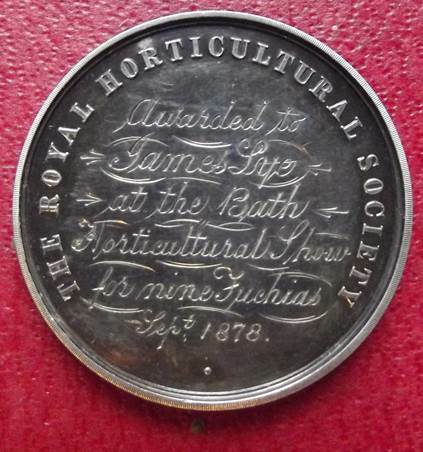 The award was to James Lye and was awarded by the Bath Horticultural Show in 1878 for fuchsias. I wonder if James was annoyed that the engraver got the spelling of Fuchsias wrong! In 1878 when this medal was awarded, James was the gardener at Clyffe Hall for Louisa Hay. The other day our curator met Kristopher Harper who holds the National Fuchsia Collection and is actively involved in researching everything to do with James Lye. Kristopher hopes to trial some fuchsia growing at Clyffe Hall to test his theory that James Lye cultivars were fairly hardy plants that could survive the winter. That will be interesting to report on. 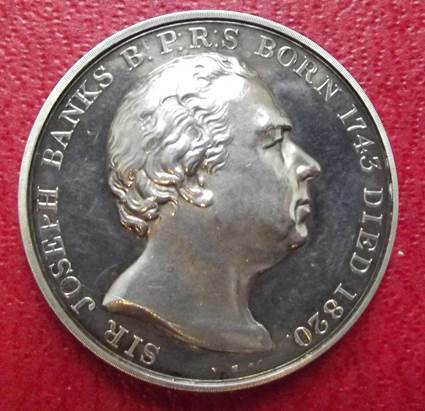 But as this post is really about Banksian medals, let’s see a recent one – not in the museum – as issued to a flower show winner. Well, it isn’t the same material, but no real change in design. It looks as though the engraving is not as classy these days – but the spelling is correct. This entry was posted on September 30, 2013 at 5:23 am and is filed under Museum. You can follow any responses to this entry through the RSS 2.0 feed. You can leave a response, or trackback from your own site.